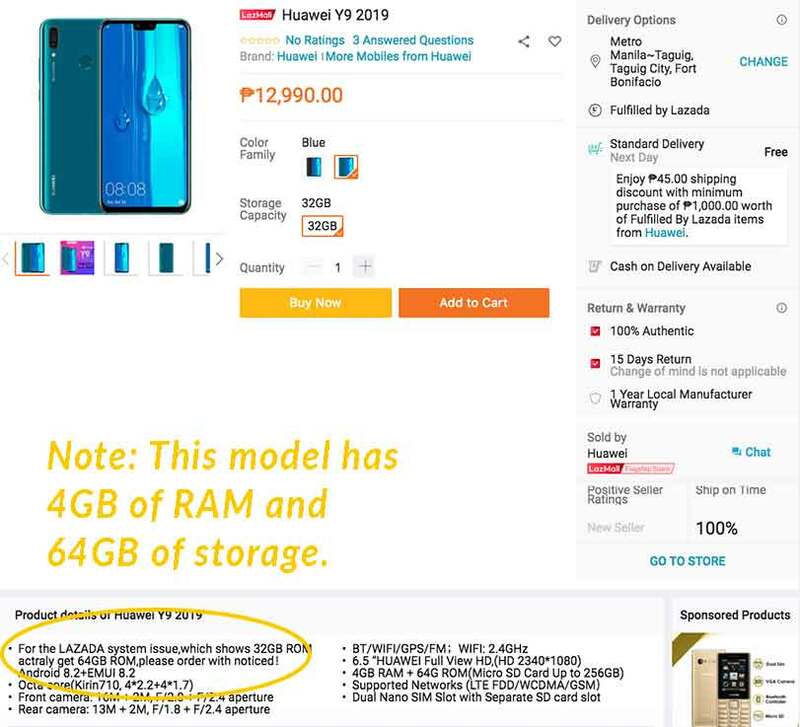 More than a week ago, we at Revü spotted the Huawei Y9 2019 on Lazada Philippines. At the time, the since-deleted listing was for a version with 3GB of RAM and 32GB of expandable storage — a model that’s non-existent. Today, a new listing is up on the ecommerce site, and it’s for the variant with 4GB of RAM and 64GB of built-in storage. Even better, you can already buy the smartphone — in Midnight Black or Sapphire Blue — for the same aggressive price of P12,990 (roughly $245) we reported earlier. Every purchase comes with a free speaker worth P1,490 ($28). This should make the Y9 2019 something worth considering given its specs, especially its big display and battery. Think 6.5-inch notched screen and 4,000mAh battery. Huawei Y9 2019 with 4GB RAM and 64GB storage, as seen on Lazada Philippines. Our review of the smartphone should be up soon. Should you wish to buy the smartphone offline, you can do so from Huawei concept stores and authorized resellers starting November 16. Just like the P14,990 ($282) Huawei Nova 3i, this year’s Y9 comes with a HiSilicon Kirin 710 chip, which has a dedicated neural-processing unit or NPU for artificial intelligence-related functions. 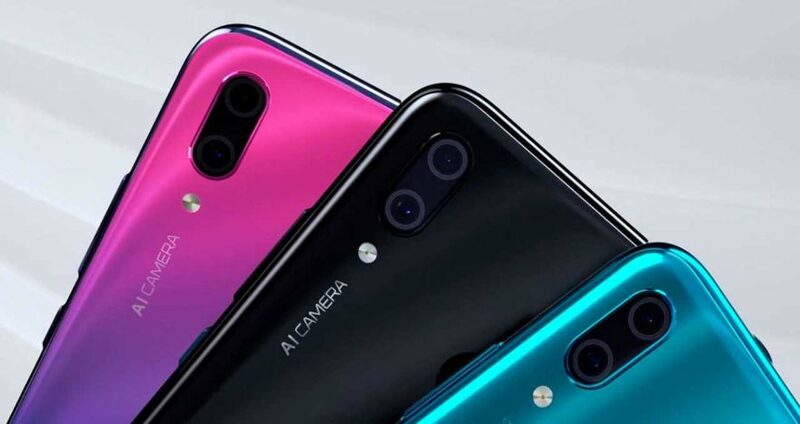 It also boasts four AI cameras, albeit with lower megapixel counts — 16 and 2 megapixels on the back and 13 and 2 megapixels for selfies. The EMUI 8.2 version it’s running is based on Android 8.1 Oreo.